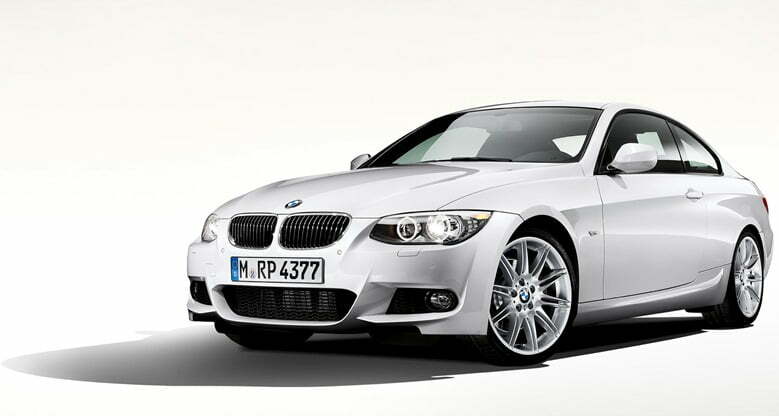 The BMW 3 Series has been one of the most popular models in the Bavarian Motor’s product line-up. so successful is the model that it has won the Car of the Year award numerous times from various automotive portals and magazines. The current generation BMW 3 Series has been present in the global market close to one year with strong sales figures. BMW has also come out with a Sports Wagon based on the 3 Series which is already on sale in the European market and will be making to the US market by next spring. BMW also has a Long Wheelbase Model (LWB) of the 3 Series for the cabin space diehards. The only missing thing left to complete the whole range of 3 Series is a Coupe version. And why not bring out a Coupe after all? In 1975, when BMW first launched the 3 Series, it debuted as a Coupe model. it wasn’t until 1982, that BMW started to offer a four door option as well to boost profits. On the bright side, BMW is thinking exactly on the same lines. The company will be showcasing a 2 door concept based on the next generation 3 Series at the upcoming Detroit Motor Show in January, next year. However, there are some rumors floating around in the internet media that BMW might finally change the name to 4 series to call it as 2013 BMW 4 Series Coupe. If that becomes true, then the journey of the F30 generation will finally come to an end next year January. However, BMW has not given any confirmations on this. It is expected that the 4 series coupe will also be followed by a convertible version, with the convertible model deriving its styling heavily from the 4 Series concept. Not much technical details are available at the moment to comment on how much different the next concept is going to be. However, we expect things under the hood, the turbocharged 2.0 litre inline four cylinder and turbo 3.0-liter straight-six cylinder to be remain the similar. But what will be the performance of the next generation M3 or M4 is to be watched out.